With our new Windows File services it’s easy to recover files yourself. 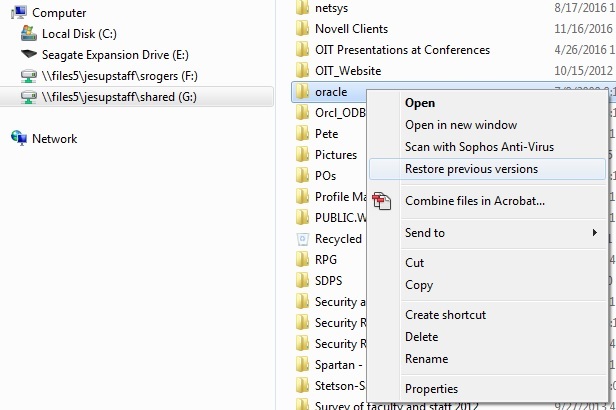 It is also possible to recover entire folders and their contents, but we recommend you let OIT do that. Contact us at x4090 or [email protected] for assistance. — Right click on the folder that contained the file. 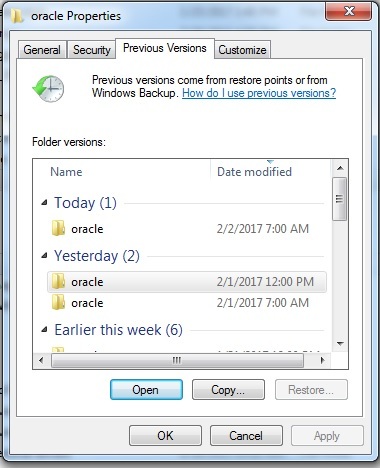 Choose Restore previous versions. — That will open some date options. Select the date you want and click Open. — Open the document to verify it is the version you want. Then save it back to the location it was originally in. If the file was overwritten rather than deleted then right click on the file itself (rather than the enclosing folder) and follow the same process.